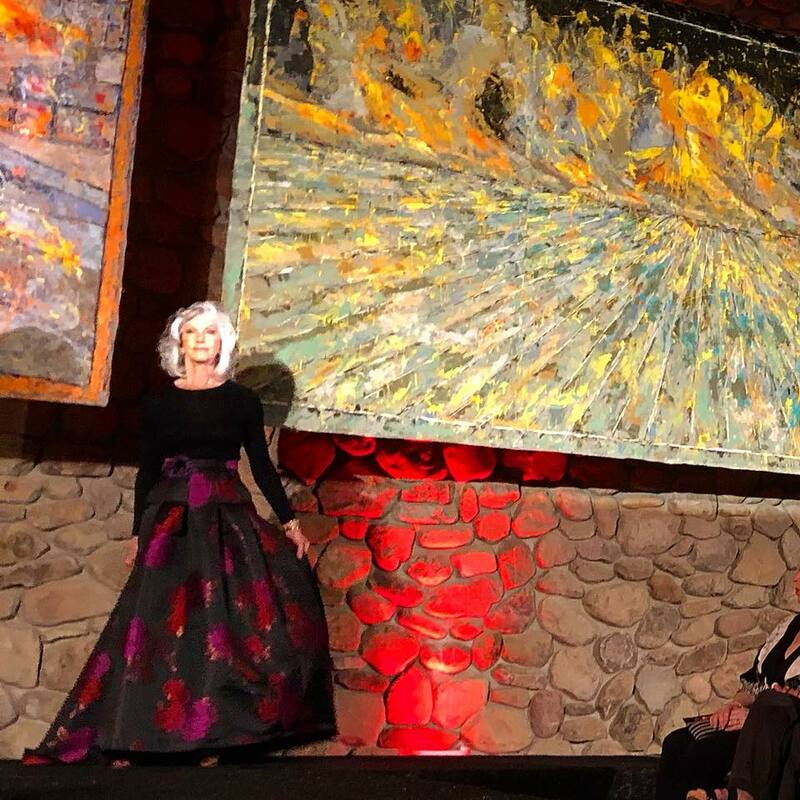 The museum of Ventura County put on an art fashion show where artists created clothing to "mend our spirit and give us the strength to move forward and rebuild". My contribution is the two large scale paintings used as backdrops for the fashion show. Art somehow relieves the pent-up emotions and anxieties brought on us by a tragedy. It does this for the artist who creates the work and it may also help the viewer. And it does this consciously or subliminally. The model in the video is wearing a metal lace dress, somewhat like chain mail created by Elaine Unzicker, “ Out of the ashes arises a new woman cleansed by fire. She feel strangely empowered embracing the passion of life. Without the passion to cling to the earth's element life cannot go on. 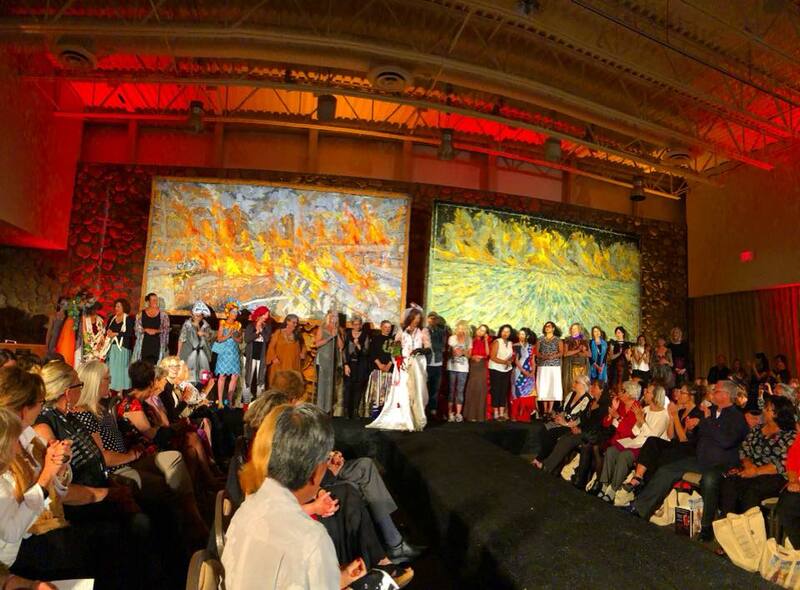 My contribution is the two large scale paintings used as backdrops for the fashion show. 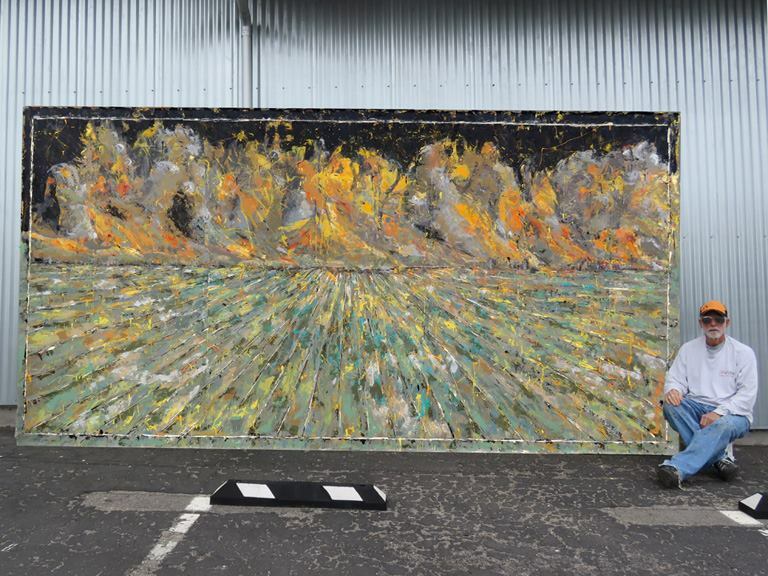 One painting represents the agricultural fields which is such a part of Ventura county and the other represents the chaos of the Hawaiian Gardens apartment complex that burned to the ground within a few blocks of our home and studios and caused our evacuation. The Thomas fire consumed 281,000 acres and caused $2.175 billion in damages and $205 million in suppression costs. The fire started in December 2017 burned for six months and was finally put out at the end of May 2018.